Most people living in Boston love the area for the history, the culture, the arts and the weather. However, those that love all but the winter weather may choose to head south for the winter. “Snowbirds,” as they’re often referred to, leave all of their belongings in their home for 3-6 months and travel to another home or apartment in a warmer climate. While the weather can be left out of sight and out of mind, snowbirds should be aware of how to winterize a vacant house during the winter. There are a few steps that every snowbird should follow to keep their homes safe from sticky bandits. Take steps to make sure your home looks lived in while you are away. The post office can temporarily forward your mail to your vacation home, but ask a neighbor or friend to stop by to collect flyers and other junk mail that makes its way to your mailbox or front step. Place a hold on newspaper and other delivery subscriptions. Hire a company or neighbor to remove snow from the steps, driveways and walkways within a day of the snow event. Utilize motion sensor lights for the exterior and put interior lights on a timer to come on at varying times in the daytime and evening. It might be smart to install an alarm system with monthly monitoring to further protect your belongings. Make sure your valuables are stored out of sight from windows. A better way to store valuables you aren’t taking with you is offsite in a safety deposit box or secure storage facility. If you have a car or recreational vehicle that is typically parked outside your home during the winter months, you may want to find storage for it while you are away. Prowlers looking for vacant homes to invade pay attention to details such as a vehicle that is not used for months. Consider storing the vehicle or asking a friend or neighbor to use or move the vehicle while you are away. You can also make your driveway look used by inviting a neighbor to occasionally park there while you are away. The best way to protect your home from water damage while you are gone is to turn off the water supply, if possible. If your home has an older heating system that requires water, consult your HVAC technician for advice on if you can safely turn off the water over the winter. If your home interior is fitted with fire sprinklers, you will not be able to turn off your water. If you are able to turn off the water safely, you’ll want to drain all of the water by turning on all faucets, flushing the toilet clear of water in the tank, and using plumbing-rated anti-freeze to prevent cracking of porcelain fixtures in case of freezing. For added peace of mind, you may want a plumber to assist you with this task. For homes that require the water to stay on, you’ll want to maintain an interior temperature that is just warm enough to keep the pipes from freezing in cold temperatures. First, have your heating system inspected in the fall to make sure it can dependably heat your home while you are away. You can also install a monitoring device for your heating systems, like Nest, that can give you control and notifications via a phone app. Unplug all appliances that are not needed while you are away. Electrical devices that you should keep plugged in include your refrigerator (although it should be empty), the lamps that will be connected to timers and any other home monitoring devices you’ll rely on while you are away. The last thing you want to come home to when you return from a winter south is a major problem at your home. 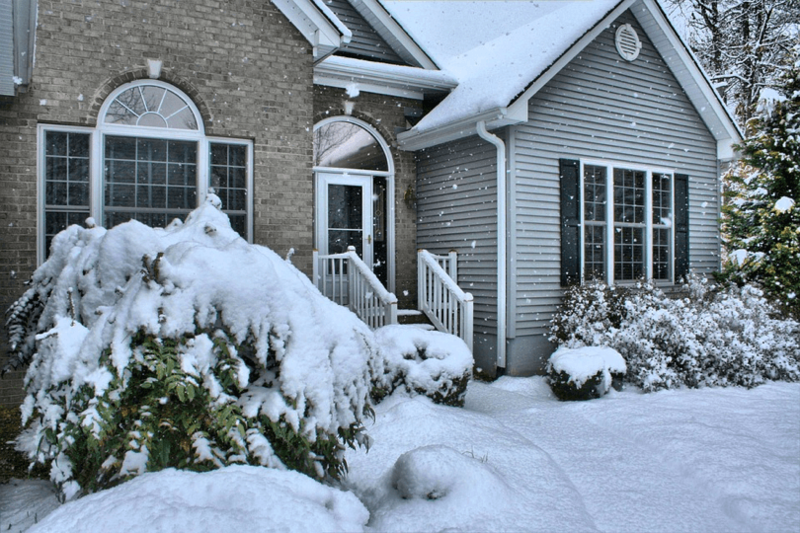 While they may take more time and planning, these steps to winterize a vacant home during the cold weather months can really pay off and let you enjoy a stress-free vacation!